Make payments the easy way with your own online banking details – fast and direct. No second account (wallet) and no registration. You can pay directly from your MistralPay account. High security by means of a multi-level authentication process and one-time validity of the confirmation code. 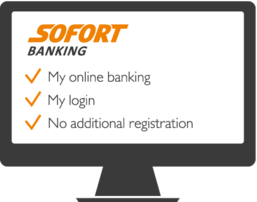 Use the advantages of the practical and secure SOFORT Banking as a self-evident payment system in your online shop with MistralPay. 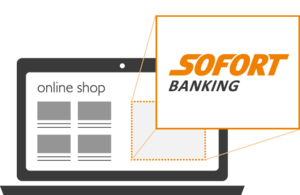 Your customers pay with their familiar online banking details and that means maximum security thanks to confidential online banking login details and confirmation code. Thanks to the real-time transaction confirmation you receive, you can dispatch the goods to your customers immediately.